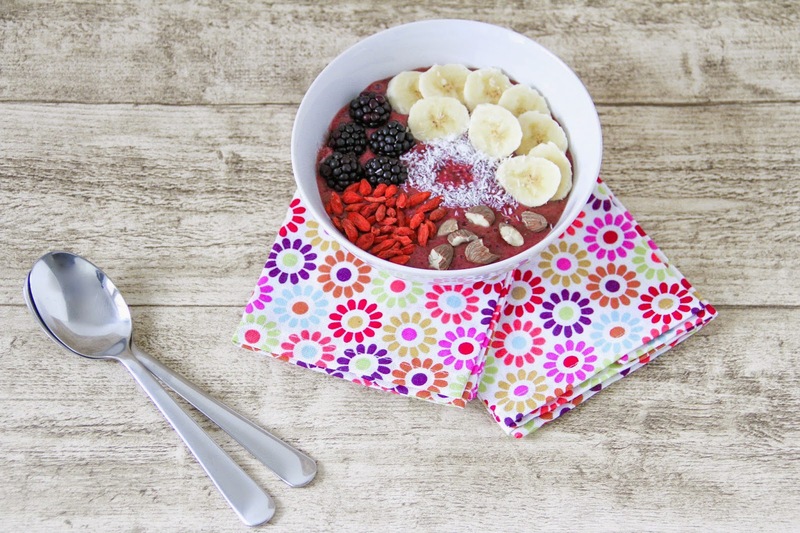 Breakfast is the most important meal of the day, but unfortunately there are days where you just don't have enough time to prepare a balanced and nutritious breakfast. I investigated a lot on what I can do to save time in the mornings without neglecting any component of a decent meal. When browsing through the recipes, I realized that over the last months I didn't eat enough fruits at all. This is something I really want, but also really need to change in the future. Having an office job where you are glued to your chair at least 10 hours a day, needs a lot of counterbalance to still live a healthy lifestyle. I am aware that this is something I need to really work on for the future because otherwise it will have serious consequences on my health. 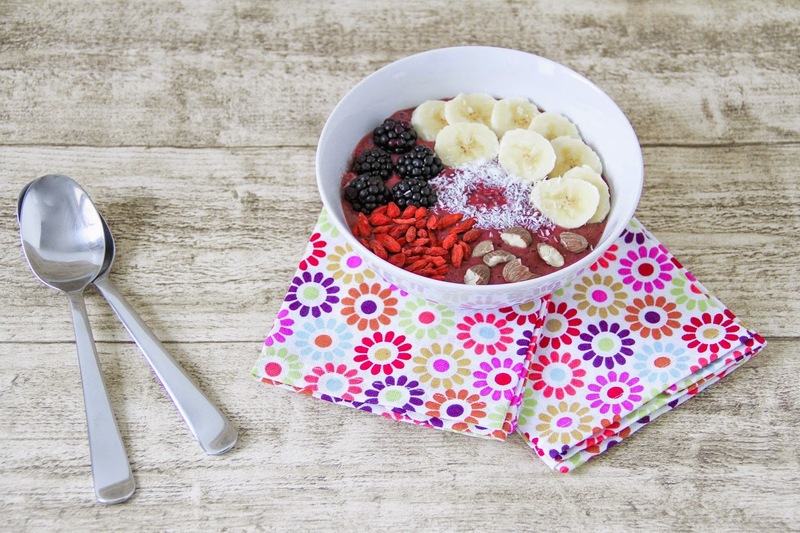 Over the last month, I took the time to try out many combinations and find out what ingredients suit me best and keep me full during the whole morning. 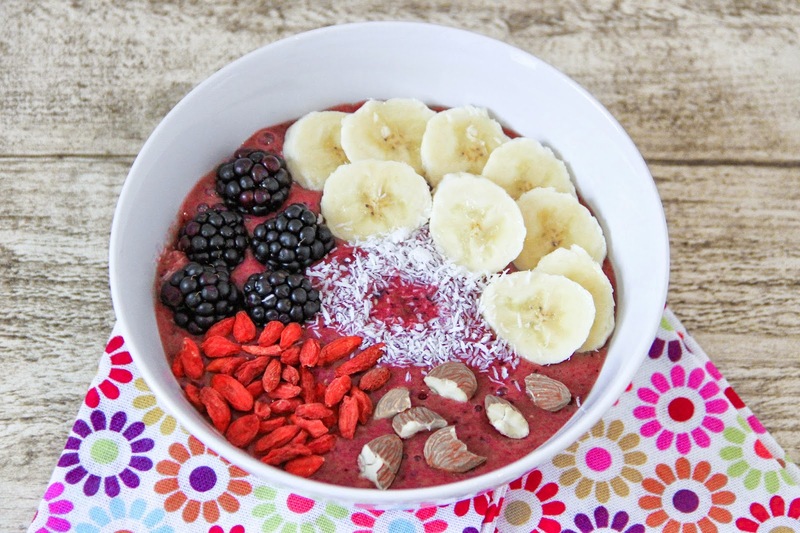 I have become a huge fan of smoothie bowls because next to their extremely nice taste the berries have a lot of well-known health benefits, notably to help increase your antioxidant levels to aid in neutralizing damaging free radicals and to support the immune system. 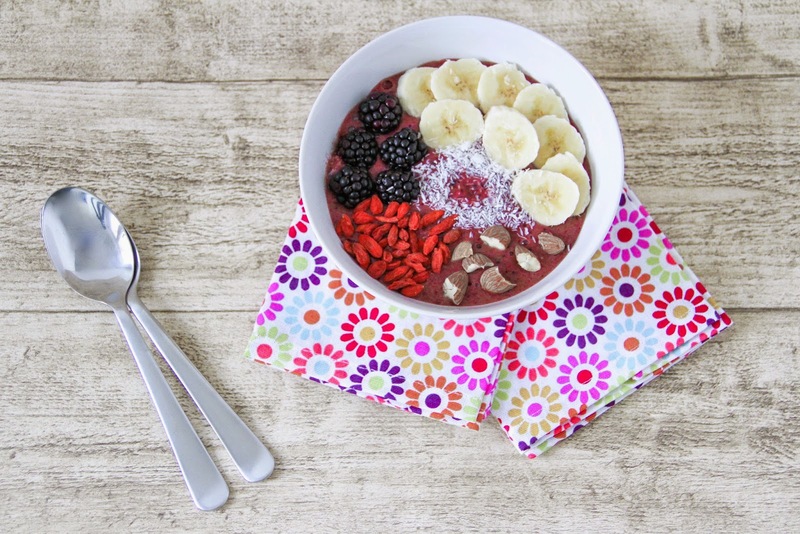 In other words, the creaminess of the berry-banana mix topped with nuts and super foods provides you with the vitamins you need and boosts you with loads of energy. I think of all the smoothies I tried, this is my very favorite. And to be honest, most of ingredients are in our fridge anyways. There is no need to buy tons of rare foods with complicated names and very exotic backgrounds. Place 1 1/2 bananas with the blueberries and raspberries into a blender or food processor and mix until you get a thick smoothie. Pour into a bowl. 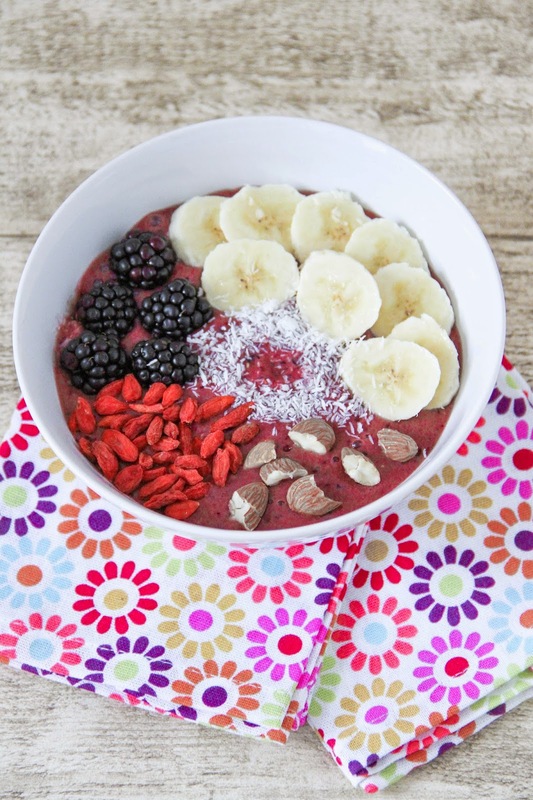 Top the smoothie with 1/2 of a banana, blackberries, goji berries and almonds. Sprinkle with the grated coconut flakes. I found them at Match in the nut corner. It looks so delicious and apetizing. I love smoothies and fruits. I was just going to ask you about the goji berries - now i"m curious about match, as i've never been there.